It’s unfortunate with gigs as hotly-anticipated as tonight’s that nobody really cares about the support. Baltimore’s Thank You aren’t too far removed from their stage-mates this evening in terms of complex and angular rock, but still, they play to a half-empty arch for the first part of their set. It’s a shame because the four-piece put a lot of effort into their own musical twists and turns, veering from complicated melody into crashing noise, that, perhaps on their own stage might blow a few more minds than it does tonight. Yes, it is most certainly Battles’ show this evening, with the crowd even cheering as the band nonchalantly take their time to piece together their eye-popping arsenal of electronics, synths and drummer, John Stanier’s trademark 6-foot-high crash cymbal. The well-publicised departure of Tyondai Braxton from the band last year put the fire under the three remaining members; a spark which ignited a new period of creativity for this incarnation of the group, resulting in the recently released and long-awaited second album Gloss Drop. 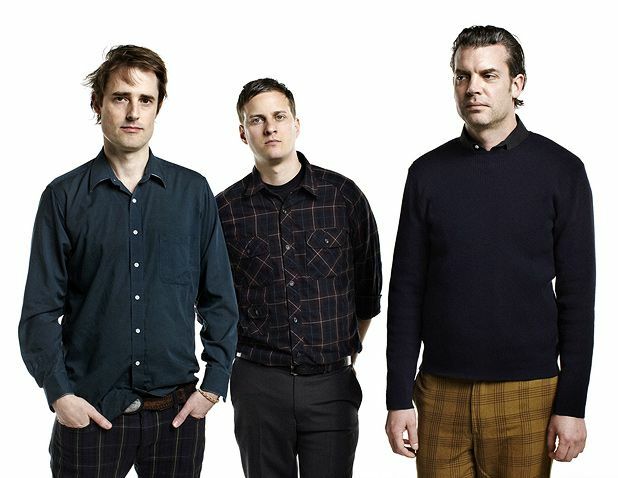 After announcing they would not be playing any older material, it was anyone’s guess how this would turn out, but Battles being Battles, we needn’t have worried. Utilising every bit of gear they could get their hands on, everything from sleigh bells and loop pedals to multiple guitars and video screens to sync the guest vocals of Matias Aguayo, Yamagata Eye and Gary Numan with lush, specially-recorded performance videos, the resulting set is just as twisted and spectacular as we could’ve hoped for. The casual flip-flip dance moves of multi-instrumentalist Ian Williams belie the incredible intricacies of the performance, which effectively blends the majority of Gloss Drop together into one singular, free-flowing piece of music. To hear the bouncy summer sounds of 'Ice Cream' appear out of raging pillars of incomprehensible digital noise, is just one of many highlights from a truly innovative and impressive return. No 'Atlas', no 'Tonto', no 'Ddiamond', but it would be hard to find anyone genuinely disappointed with tonight’s display. Welcome back Battles, you’ve been sorely missed.